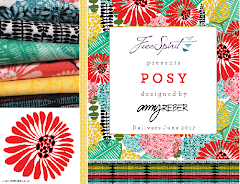 FreeSpirit Fabric: Win Big for Kathy Doughty Week! Win Big for Kathy Doughty Week! We are excited to participate in a BIG giveaway for Kathy Doughty Week! 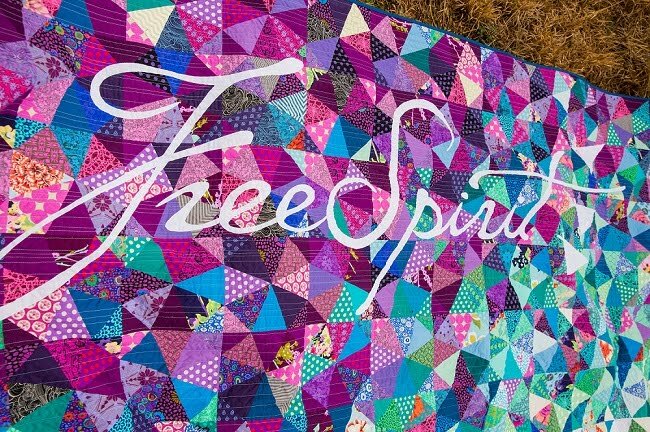 We will be giving 3 lucky winners SIX 1 yard cuts of her fabric(featuring both Flock Together and her NEW collection Folk Art Revolution), her new book Mixing Quilt Elements from C&T Publishing, AND a collection of American Patchwork & Quilting Magazines! All you have to do is enter below by submitting your email address to our mailing list! You can add a BONUS entry by following us on Pinterest through the entry below! Good luck! Winners will be chosen on July 12th at 8:30am when the contest closes! Her Collections are lovely. I would love to try my hand at her Folk Art Revolution. 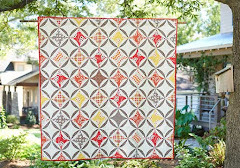 I would love to be the lucky winner of the Kathy Doughty giveaway--what a wonderful birthday present it would be! Thanks for the chance at such a fantastic giveaway!! I would love to be the winner of the Kathy Doughty Giveaway....it would be a wonderful gift as it is my birthday. Awesome - loved her latest book!!! Hello Everyone, you must register your email on the post above not in the comments here to be entered. Thanks. Bummer... Missed signing up for giveaway by 8 minutes! !